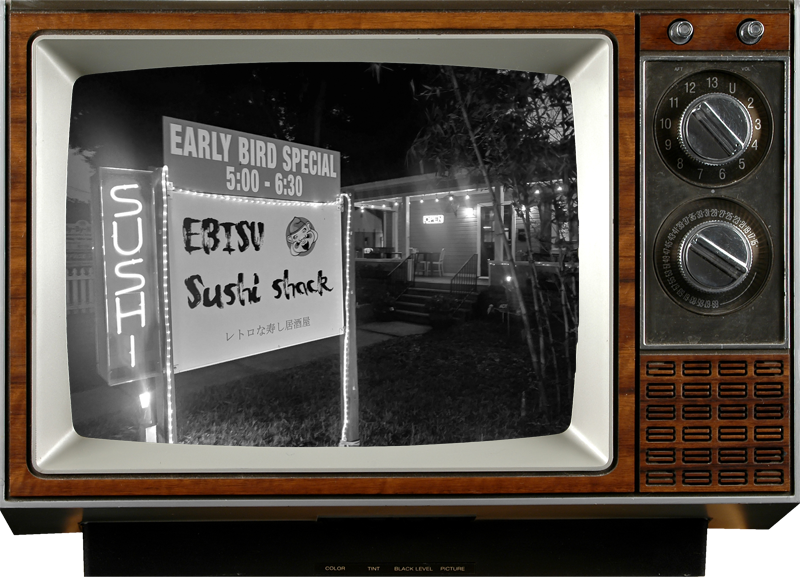 The Sushi Shack is located in the heart of Seminole Heights, Tampa in a converted 1928 bungalow. But don’t be fooled by its modest appearance! The Chef-Owner and her husband (long time gaijin from Japan), set out a few years ago to create a unique sushi restaurant that would combine fresh, delicious dishes in a laid-back izakaya style atmosphere that customers would love, and they haven’t been disappointed! See the Shack’s Facebook page or Yelp to view the overwhelmingly positive reviews this little restaurant has received since opening in August 2016. Whether it be regular favorites like the Orange Sunrise or Volcano Rolls or something unique being offered on the Specials Board, there’s always something delicious waiting for you at Ebisu!